I love Sherry, although it’s all too infrequently that I have the chance to try a selection of really interesting examples. I was treated to a memorable Sherry extravaganza when Federico Sanchez-Pece Salmeron, brand ambassador for Bodegas Emilio Lustau, visited Reserve Wines to present a range of his very fine wines. A court clerk named José Ruiz-Berdejo began cultivating vines on his Nuestra Señora de la Esperanza estate in 1896, making the wines himself before selling them to exporters. In 1940, his son-in-law Emilio Lustau Ortega moved the winery into buildings that formed part of the Moorish walls of Santiago’s historic Jérez de la Frontera quarter. Ortega began to expand the business and, by 1950, the company had started to export its own wines. Always with a focus on quality rather than quantity, expansion and innovation continued apace at Lustau. Today, Lustau offers a complete range of styles of Sherry - from fresh Fino to long-aged Pedro Ximénez - and, in 1981, it pioneered the concept of Almacenista bottlings: choosing specific lots from the warehouses of small independent Sherry maturers and bottling them separately. Unlike non-fortified wines, the key to quality Sherry is not where and how the grapes are grown but where and how it is matured. Also in contrast to most other winemaking regions, Sherry bodegas don’t always have vineyards of their own. Instead, they purchase either young, base wines from vineyards or semi-mature wines that have already spent some time in a solera from Almacenistas - small maturation bodegas that either partially or fully age wines. The large bottling and shipping bodegas incorporate these wines into their own soleras before bottling them to sell. As a result, the work of the Almacenistas usually goes unrecognised as their wines are all too often sold under the name of the eventual bottler or shipper. This Fino was aged for around five years in the cool, humid, sea air of the coastal town of El Puerto de Santa María. Slightly volatile, saline, almond and yeasty nose. Bone dry, yeasty and with bright acidity, the yeastiness was complimented by a delicate citrus note on the finish. Fresh and easy to drink. Salty, Marmitey nose, softer and less volatile than the Puerto Fino. The palate was also rounder, with a gentle yeasty and smokey character and a touch of white fruit but still bone dry (both this and the Fino have only about 0.5 g/l of residual sugar). It was softer, too, on the finish but with slightly more length. Federico suggested pairing this with white asparagus and who am I to argue? Bright amber in colour. Salted roasted almonds on the nose, with the merest suggestion of dried fruit. Dry with a creamy, salty, roasted almond richness, a burnt sugar acidic twang and again the very faintest suggestion of sweetness (4g/l of residual sugar) from a dried fruit element that lasted right through the long finish. Lovely! Apparently this is fantastic with artichokes, a notoriously tricky food to match with wine. A richer nose than the Los Arcos; the dried fruit character was more prominent and the nuttiness was a little earthier and chestnut flavoured. Full bodied with a nutty creaminess and sweeter thanks to slightly higher levels of residual sugar (6-7g/l) and alcohol. Intense and complex, with dried fruit and dried orange peel balanced by a long, savoury edge to the finish. The solera of this Emperatriz Eugenia Oloroso was established in 1921, when Eugenia de Montijo, the last empress of France and the wife of Napoleon III, visited Jérez. An altogether deeper and darker amber colour. A whiff of nutty volatility on the nose but less high-toned than the Don Nuño and a little less toffeed, possibly due to its additional age - around twenty years old as opposed to twelve for the previous wine. Dry, smokey, toasted almonds and ever so slightly spirity yet more fragrant and with a deeper intensity and complexity. Rounder and less bracing on the finish. Finishing its maturation in a solera of 33 barrels residing at the Sacristía de Bodegas Lustau, the elevated humidity and temperatures replicate the climatic conditions that seventeenth century wines would have experienced during long sea voyages to and from distant colonies. Barrels of wine were used as ballast and as refreshment for the crew, and any such barrels that returned full were found to have substantially improved in taste and in complexity. A blend of two 12 year old wines, the Don Nuño Oloroso and the San Emilio Pedro Ximénez (80% and 20% respectively), which are then barrel aged for a further three years prior to bottling. Deep mahogany coloured and with a noticeable viscosity, the nose was packed with dates, raisins and toffee. Sweet, with lively acidity and alcohol, the palate displayed more treacle toffee and dried date flavours and had a pleasing length to the finish. Only 1% of the 7,000ha of vineyards in Jérez are planted with Moscatel and as a result this is not a style of wine one sees very often. 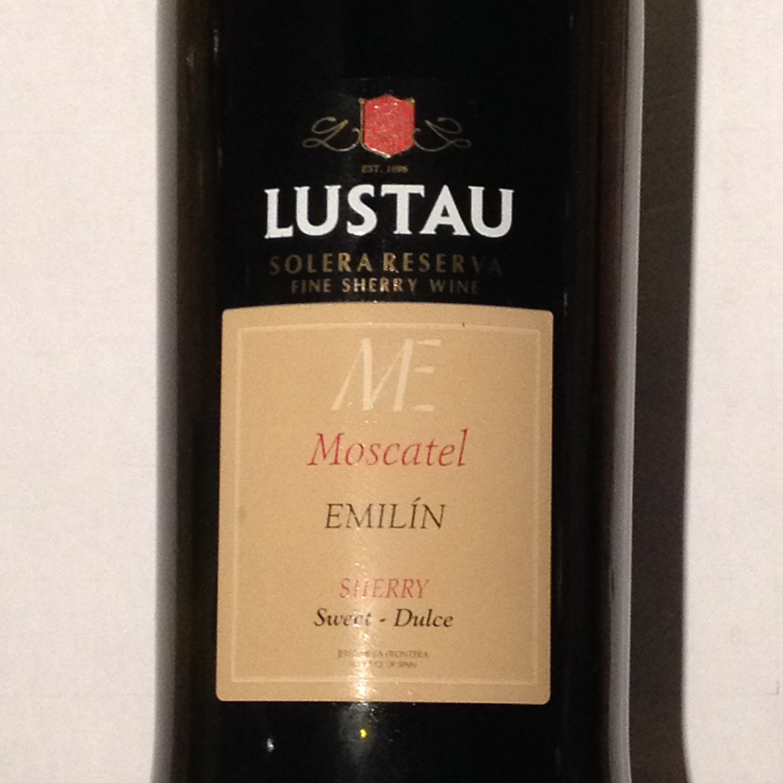 The grapes for this wine were grown in the Las Cruces vineyard in Chipiona. Deep amber with alluring aromas of orange blossom and gently bitter orange peel; honeyed and sweet. Sweet on the palate also (200g/l of residual sugar will do that! ), but with a substantial acidity that dried the finish. Hints of toffee and burnt sugar interlaced with the orange at the end. 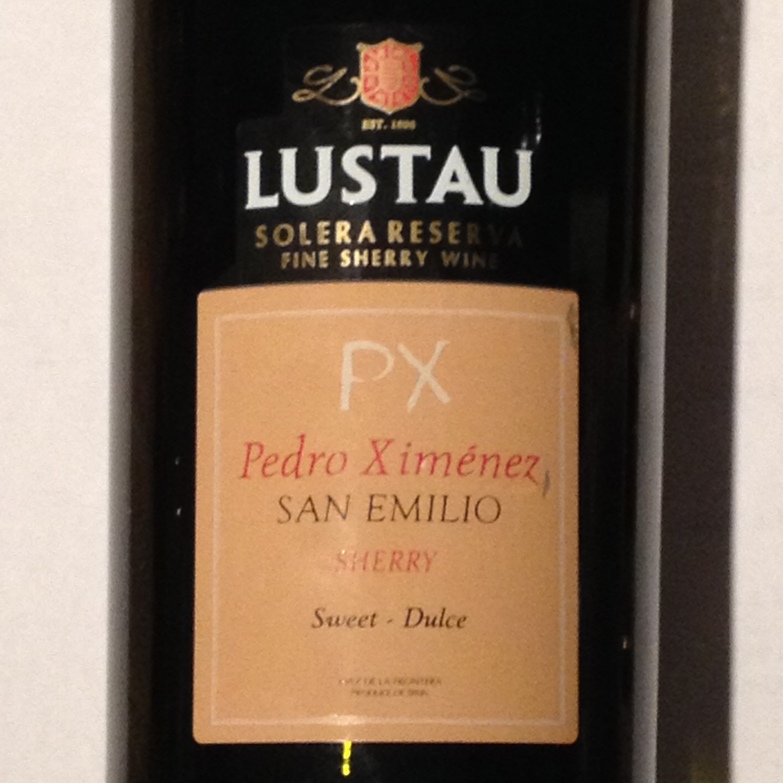 Very sweet certainly, but much more delicate than a Pedro Ximénez. Moscatel wines are made exclusively from grapes of the Moscatel de Alejandría variety, harvested when very ripe and dried in much the same way as Pedro Ximénez. Because Moscatel de Alejandría grapes are bigger than Pedro Ximénez grapes, the soleo (sun drying) process does not dry them to quite the same extent and the wines are slightly less sweet and concentrated as a result. Very deep and dark mahogany, with raisins, dates, dried peel and hints of coffee and cocoa on the nose. Blisteringly sweet (400g/l of residual sugar) but velvety smooth, with enough acidity to keep it fresh(ish!) and not too cloying on the very long finish. Many thanks to Federico for presenting such an enjoyable selection and for hopefully converting a few more people to the Sherry cause!